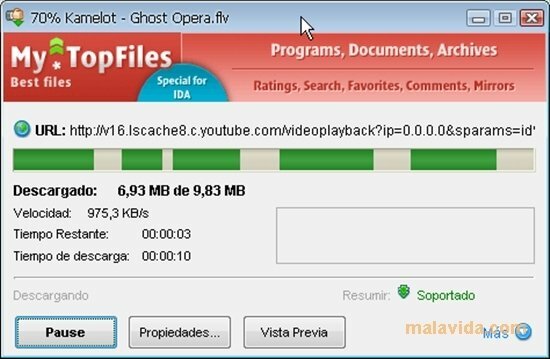 There are multiple applications that help us to manage the download of files from the Internet, whether videos, music, documents, images,... But, without a doubt one of the best known and with the greatest quality is Internet Download Accelerator. Internet Download Accelerator is a download accelerator, because it doesn't only manage them, it also allows us to maximize the use of our connection and make the most of all the bandwidth carrying out our download at the maximum speed possible. To do so, it bases itself on the method of splitting and downloading the file in small parts, accessing different servers for each part. - Management and download of files at maximum speed, including videos from YouTube. - Use of the HTTP, HTTPS and FTP protocols for the downloads. - Intuitive and attractive interface. - Perfect integration with the majority of browsers (Internet Explorer, Firefox, Google Chrome, Apple Safari, Mozilla, Opera, Netscape, ...). - Includes an FTP Explorer. - IDA Toolbar, available for Internet Explorer and Firefox. Try out Internet Download Accelerator, without a doubt, the best download accelerator.